Are you on a Quest? Do you have a spiritual hunger? Do you feel that there is a greater way, a meaning within the meanings of the Rites and symbols you may already know? Have you sought the key to the mysteries in books, lectures, and, perhaps, even in certain fraternal orders, but have not found that key? What is it that you seek? You are seeking--Initiation. What is Initiation? Real Initiation is not only symbolic. It is the conferring of active spiritual power through the practical application of an interior process, a hidden method, and a secret technique which combine to establish an inner way employing an operative method. Thus, those who know say that authentic Initiation gives knowledge, power, and the authority to use the power. Genuine Initiation can only be found within the sacred bounds of the authentic Initiatic Orders whose powers and secret teachings have been carefully passed down through their officers and members. The Rose✠Croix Martinist Order constitutes such an authentic Initiatic Order. Martinism is a system of operable mystical Christian Illuminist philosophy and practice that traces its knowledge and power to Louis Claude de Saint-Martin (the famous French philosopher and adept, b. 1743—d. 1803) who, himself, was Initiated by Rosicrucian adept Martines de Pasqually. Saint-Martin privately propagated this Christian Illuminism by way of personal initiation and the private instruction of his men and women students. These students eventually became known as “Martinists,” men and women adepts who to this day have continued to transmit not only The Initiation of St. Martin, but also his esoteric instruction. 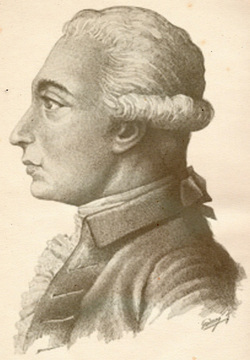 Entrance into an authentic Martinist Order has always been by way of private invitation to receive personally The Initiation as it was received and conferred by Louis Claude de Saint-Martin himself. This mysterious Initiation is a ritual ceremony that confers powers and abilities which enable a Martinist to understand and apply the ancient esoteric wisdom. The goal is for the Martinist to become an adept in esoteric knowledge and practice. After receiving The Initiation, the Martinist studies topics such as Christian mysticism, esotericism, Hermeticism, and Rosicrucianism. Indeed, by the end of the 18th century, Martinism and Rosicrucianism in Europe were closely identified, an identity which has continued into modern times. Because the Martinist is empowered by The Initiation and because the Martinist carries the secret wisdom, knowledge, and abilities of the Adept, Martinism is considered by Initiates and non-initiates to be the very hub and spoke of esotericism and mystical wisdom. Indeed, Martinism has come to be thought of as the "graduate school" of esoteric and mystical studies. R✠C Martinism in the U.S.A. Since its inception in 1991, The Rose✠Croix Martinist Order has grown to be the largest Martinist Order in the U.S.A. In June of 2011, The R✠CMO hosted its 20th annual conclave, with R✠CMO Initiates attending from across the United States. In 2012, the Order will host its 21st annual conclave. If you are a member of The R✠CMO, you can register safely online for the 2012 General Assembly. Just go to the GA 2012 dropdown menu, above. Check back from time to time. We will be adding new features as our site develops. Want to contact us? Use the "Contact Us" tab, above. If inquiring about membership, please include your city and state so we can find one of our groups near you. We do not share your email or any other information with anyone. 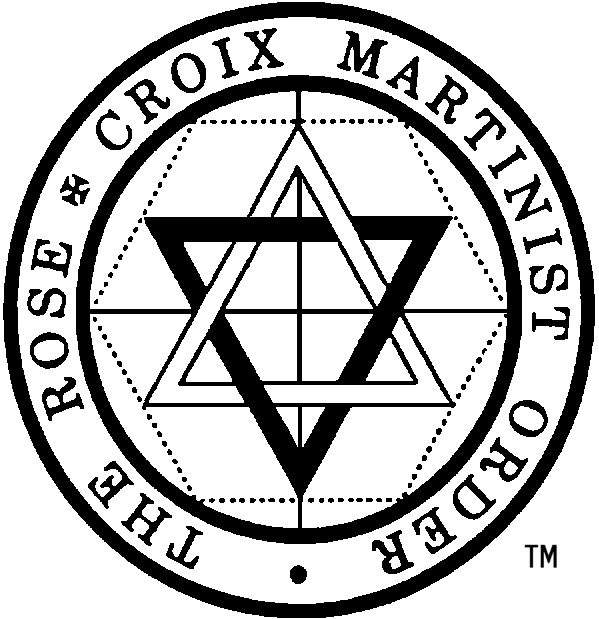 The name and emblem of The Rose+Croix Martinist Order are registered trademarks. All rights reserved.